Coming to a new school was hard for me. I had lots of friends. But coming to Walker was different. When I came, everyone I met was so nice and helped me with what ever it was I needed. The teachers were always so welcoming; it was like I knew them all my life. Everyone I met knew I was new, but it didn’t matter to them. To them, I was the same as all their other friends they had before I came. Walker is one of the best schools I will ever go to. Gustavo W. is a new fifth grader in the Lower School at The Walker School. He is a guest blogger and a Lower School expert author for our Discovering Walker Wonders blog series. He writes about the opportunities that abound at Walker – for students and adults! I am a new student at Walker. I am loving Walker so far. The environment overall is stupendous and everyone is amazing! The teachers and my friends have been super kind. The campus has been outstanding since I know kids of all grade levels. Another quick thing is that the lockers are pretty cool, I haven’t used lockers in 5 years! 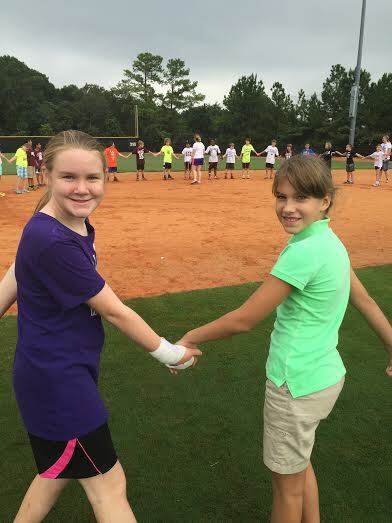 I signed up for football, so I met friends before school even started!! So far, I have met so many nice people and I continue to meet nice people. 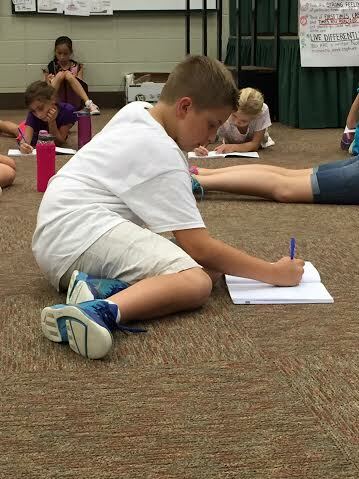 I am not the only new student at Walker in fifth grade, but I think everyone has adapted very well. One thing I notice is that everyone is trying to do more than one thing: for example my football coach Coach Farrington helps with football, wrestling, and in the cafeteria. I think everyone at Walker is very determined to complete a task. Last weekend, I was inspired by the actors, singers, dancers, and musicians in The Addams Family Musical. I love to perform! Walker gave me several opportunities to perform this fall. 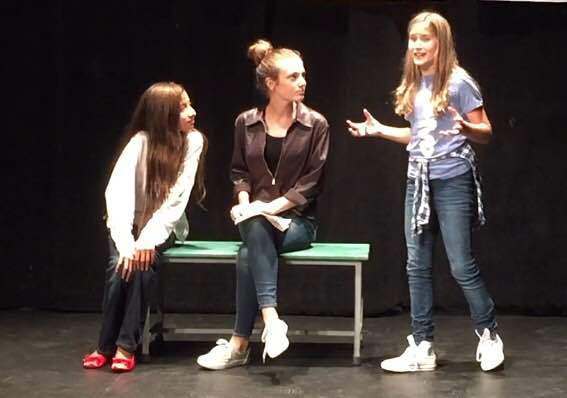 I was a tomboy, girly teenager, and professional intern in the Middle school comedy in September. I can’t wait to perform in an Upper School musical! I also performed in the fall orchestra concert. Did I mention that I love to perform? I play violin for Mrs. Kyna Elliott. She inspires me every day to improve my technique and to perform with my violin. Mrs. Elliot played along with the student orchestra pit during The Addams Family Musical. The student musicians were amazing, including a violinist from Camerata. At the fall concert, Camerata – an Upper School Quartet – was breath-taking to hear and inspiring to watch the movement of their bows. I also perform in the classroom at Walker. Last week, I performed a thirty-minute presentation teaching my Spanish class about dance in the Spanish culture. Whether in Life Science, Early American History, or English, I perform as a writer every week and see my progress in expression. I am grateful for the inspiration I have received at The Walker School! Did I mention I had a performance coming up? Come hear the Middle School orchestras, bands, and choruses on December 8th for our Holiday Concert. I absolutely love Walker so far! I knew I would have an unbelievable experience because when I came home after the first day of school, my jaw ached from smiling so much. The people you meet are incredibly inclusive, almost like they were simply waiting at the door for you to arrive. The schedules are very tricky, but I was able to figure it out after a few days due to helpful teachers! Also, the classes may seem intimidating but the teachers emphasize that they are always there for extra help, so I definitely feel comfortable about emailing and contacting my teachers about work or anything about the lesson. One of my favorite parts about Walker is the free time and study hall you receive. I am used to a pile of homework as soon as I get home, but at Walker you can use study hall time or lunch time to get ahead on homework, which is very important to an athlete like me! I’m still a little nervous around some of the students that I don’t know, but as I scream that Walker cheer I know I made the right choice all along. My first two days were full of excitement, intrigue, and friendship. I was most excited about exploring the campus, decorating my locker, and learning about after-school clubs. The classes on my schedule were intriguing. I feel I have a variety of classes from Early American History to Orchestra to Computer. The Walker School also gave me the opportunity to take placement tests in math and Spanish allowing me to continue my progress in two of my favorite subjects. Most importantly, I started friendships and relationships that I hope will last all year. Walker was a different school environment for me. New student orientation, friendly teachers, and the new student bowling party made the transition easy. At the end of my first day, I did not want to leave. Walker is wonderful! I know I made the right decision to attend The Walker School for seventh grade. 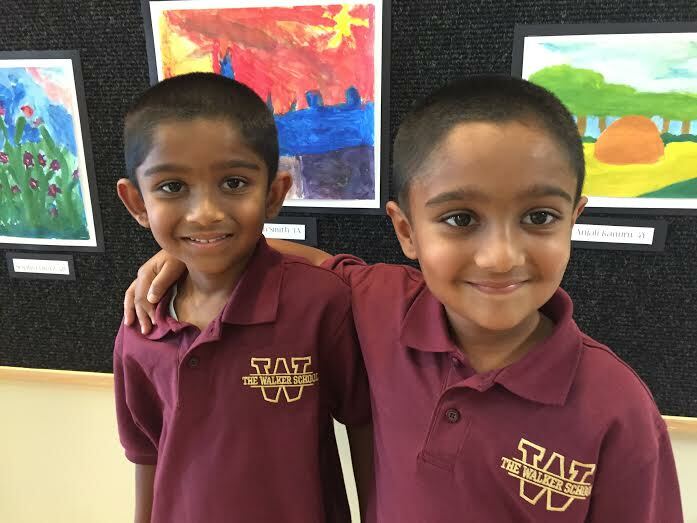 Aryan P. and Ayaan P. are new to Walker this year and are experiencing all of the fun and learning that our first grade has to offer! They are our youngest bloggers and are excited to start typing their blog posts soon! Can you tell they are twins too! ?